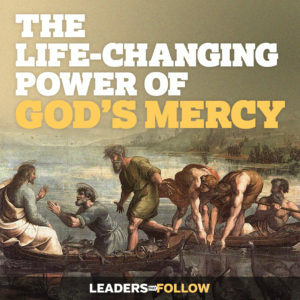 Understanding how God’s mercy can change your life is essential in your walk of faith. Pope Francis has made that abundantly clear in this Year of Mercy. But many times we’re perplexed and wonder how does mercy really work? Well, I’ve put together the perfect talk for you in which I explain it all. In this 30 minute talk I walk you through the story of Simon Peter and how it relates to you in your life. Here’s a brief overview of the main points. I’ve made this talk available for free over at my website Leaders That Follow. Just enter your first name and email address and I’ll give you instant access to download it.